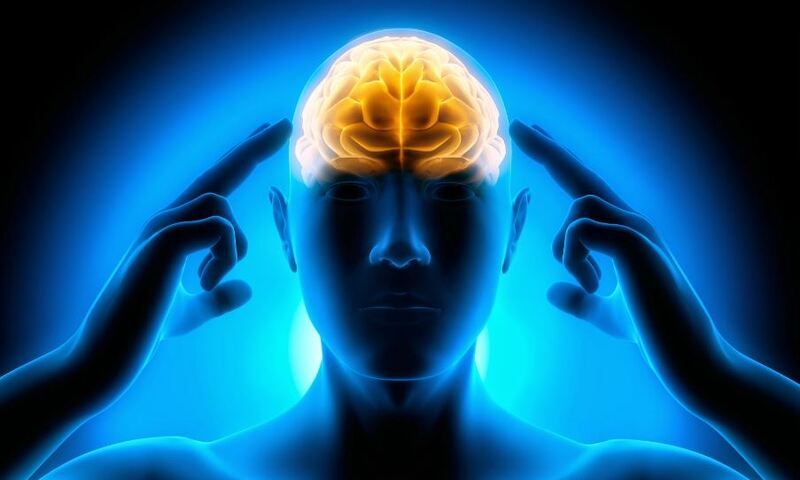 Is mental imagery good or bad in spiritual life? Fr. 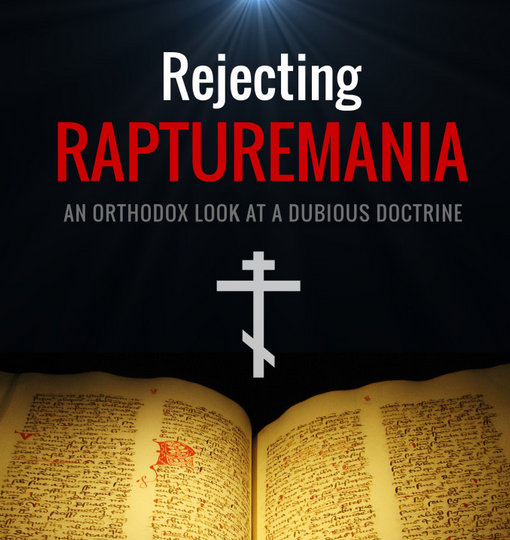 Sergei answers the question for Orthodox Christians, and anyone else who needs to know, once and for all. Just as there can be a properly trained voice, there can be a properly trained soul. 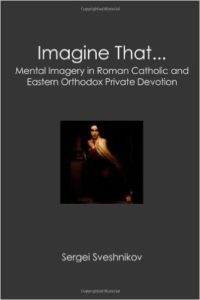 This presentation is based on the research that I undertook for a book titled Imagine That… : Mental Imagery in Roman Catholic and Eastern Orthodox Private Devotion, published in paperback in February of 2009 with the blessing of His Eminence Archbishop Kyrill of San Francisco. The work is an analytical comparison of Roman Catholic and Eastern Orthodox attitudes toward mental imagery. 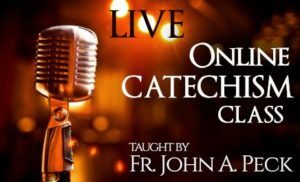 In this presentation, I wish to focus specifically on the Orthodox tradition of prayer. The mind is to be freed from all thoughts and images and focused on the words of prayer. Further in the chapter on prayer, St. John instructs not to accept any sensual images during prayer, lest the mind falls into insanity; and not to gaze upon even necessary and spiritual things. “that, which sternly, decisively, with threats and imploring is forbidden by the Eastern Fathers—Western ascetics strive to acquire through all efforts and means”. One of the best summaries of the Orthodox patristic tradition of prayer is contained in the works of Bishop Ignatii (Bryanchaninov) (1807-1867), a nineteenth-century scholar, theologian, and saint. Having studied the works of both Eastern and Western saints in their original languages, St. Ignatii was also known as a man of prayer, and his writings breathe not only of academic vigor, but of personal practical experience as well. “who are renewed by the Holy Spirit, who put off the old Adam, and put on the New” (Works 2004, 1:86). The praying mind must be in a fully truthful state. Imagination, however alluring and well-appearing it may be, being the willful creation of the mind itself, brings the latter out of the state of Divine truth, and leads the mind into a state of self-praise and deception, and this is why it is rejected in prayer. “tempted in his mind by the devil who mocks him” (174). But cases of mental disorders facilitated by improper prayer or state of mind are also known in various Orthodox literature, especially paterikons. “deaf and dumb during prayer” (Philokalia 2:208). “Do not desire to see any face or image during prayer. Do not desire to see Angels, or Powers, or Christ, in order not to become insane, having accepted a wolf for the shepherd and having worshipped the enemies—demons” (2:221). When the demon of pride becomes established in his servants, then, appearing to them in a dream or in a vision in an image of an angel of light or a martyr, gives to them revelations of mysteries, and as if a gift of [spiritual] gifts, in order that these unfortunate ones, having succumbed to the temptation, completely lost their mind. “when the nous, pure from any thoughts and ideas, prays to God without distraction” (Hierotheos 145). This type of prayer is achieved by stilling the mind, rather than rousing it with ecstasy, by ignoring apparitions, rather than accepting them as a sign of personal perfection, and by deliberately keeping the mind from creating thoughts and images, rather than using it to exercise imagination. Thus, ecstatic visions, which were the core of private devotion of some Roman Catholic saints, are considered by the Eastern Tradition to be a temptation to either avoid or fight off, rather than “favors” from God, as Teresa and Mechtilde call them. Similarly, desiring the images and visions or creating them with the use of imagination is seen as a dangerous practice, leading to neuro-psychological trauma, rather than as an acceptable form of spiritual exercise. The specific canons and stylistic rules which guide the writing of an Orthodox icon, therefore, as well as the proper training of the mind, may be seen as the means to achieve the goal formulated above by St. Ignatii—the real presence before the Lord, rather than to express or influence visual imagination. [A]n angel enlightened me when I thirsted for more revelations. And again, being in the same state [of seeing], I asked him: “What was the Lord like before He accepted the visible image of human nature?” But the Prince of Heavenly Hosts could not teach me this, and he was not allowed. Then I asked him to reveal to me in what state He is now. “In one that is specific to Him,” he said, “but not in these.” I asked again: “What is His state of sitting on the right of the Father?” He answered: “It is impossible to accept the understanding of this mystery through hearing.” I begged him to lead me to that, which I desired. But he said: “This time has not yet come, because you still have too little of the fire of incorruption in you.” However, I do not know and cannot say whether I was in the body or out of the body when this was happening to me. It is interesting in this passage that St. John kept asking the angels about the matters which are difficult to place within a personal soteriological context. Indeed, it may be questionable whether knowing in what state Christ sits on the right of the Father would bring anyone closer to salvation. It is telling that the angel refused to answer and elaborate on these matters. Nonetheless, it appears that St. John not only had a vision, but accepted it, conversed with it, and desired more visions or revelations. “[W]hen this grace of the Holy Spirit descends upon someone, then it shows to him not something usual from the things of this sensory world, but shows that, which he has never seen and never imagined” (5:475). 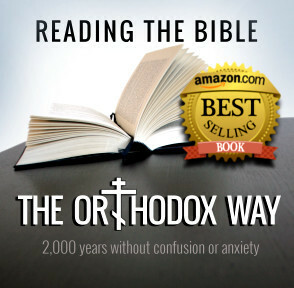 I am not aware of any Orthodox authors, for example, disputing the spirituality of hagiographic accounts of the visions of an angel as told by Abba Dorotheus of Gaza (A.D. 505-565), or the visions of the Theotokos by Saints Andrew and Epiphanius (10th century), Sergius of Radonezh (ca. 1314-1392), Sergius and Herman of Valaam (14th century ? ), Tikhon of Zadonsk (1724-1783), or Seraphim of Sarov (1759-1833), whom St. Ignatii revered as a master of prayer (see, for example, Works 2004, 1:198), or the vision of the Lord by the same Saint Seraphim during a liturgy. It appears that the seeming inconsistency in relation to visions in Orthodox patristic writings, may come from their (the writings’) pastoral nature. While the Fathers are aware of true visions from God and experience them, they are also aware of the real dangers along the spiritual path and warn less experienced adepts to not accept any visions until a certain level of spiritual maturity and a skill of discerning spirits is reached. In other words, the Fathers warn the novices not to have the Satan for an iconographer. Having founded prayer on repentance and humility, rather than on visions and revelations, a person stays on the correct path and is able to overcome the temptations and attacks of the devil regardless of the presence of any visions or their absence. Founding prayer on ecstatic visions, on the other hand, according to the Orthodox thought, puts the soul, especially that of a novice, on the path of great danger. 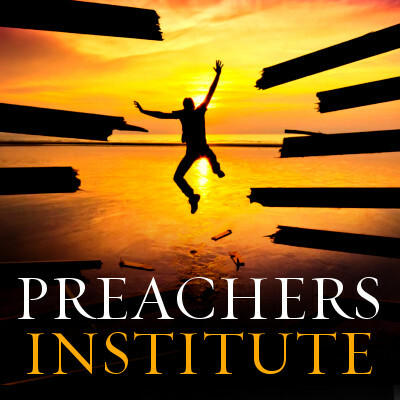 “When you contemplate the Divine, then you may imagine the Lord however you want,” but he adds: “During prayer, you should not hold [in your mind] any images… If you allow images then there is a danger to start praying to a dream” (qtd. in Kuraev, Challenge 121). “Finally, it is permissible, when fighting against certain inappropriate and evil imaginations presented by the enemy, to use other appropriate and virtuous imaginations”. The wisdom of such advice was questioned by St. Ignatii (Bryanchaninov) who suggested that one of his correspondents stop reading the Unseen Warfare (which had recently been translated into Russian by Theophan the Recluse) (see Works 2004, 5:274). While we may never know whether the saint’s correspondent heeded the advice, what is important here is the very fact that even works by respected Orthodox authors, such as St. Nicodemos, may be questioned without much hesitation due to the dissonance they create with the strictly Orthodox path of prayer. 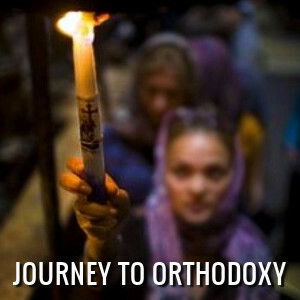 With respect to the conscious use of imagination during prayer, the prohibition of the Orthodox Tradition is equally strong. Some use of imagination is viewed by some authors as permissible outside of prayer, but all the Orthodox sources known to me unanimously speak against the conscious and willful use of imagination during prayer. Thus, there appears to be a clear difference in the area of the use of mental imagery between Roman Catholic prayer as exemplified by Saints Teresa of Avila, Angela of Foligno, and Ignatius of Loyola on the one hand, and the Orthodox tradition of prayer as presented by Saints Ignatii (Bryanchaninov), Nilus and Gregory of Sinai, John Climacus, and others. While some of the theologians quoted above may have written in part in reaction to Western mystical experience, others—Macarius (4th century), Nilus (5th century), John (6th century), Isaac (7th century), and Simeon the New Theologian (10-11th centuries) —constitute an earlier tradition that predates the lives of St. Teresa and St. Ignatius by several centuries. Thus, the formative influence of this patristic tradition can be traced through the writings of later Orthodox authors.